I just got an email from the book club slash ebookstore Librify with the news that it is shutting down. Librify has been acquired by Scribd, lock, stock, and barrel, and over the next few weeks it will start transitioning its few customers over to its larger competitor's service. According to the press release, Scribd is buying Librify for its social features, such as they are. "We value Librify’s focus on the social reading experience and the great work they’ve already done within reading communities," Scribd co-founder and CEO Trip Adler said. "This move is a natural extension of the existing Scribd product and something we, and our readers, have wanted to explore more deeply." I wish I could say that this was a surprise, but it's really not. I've been watching Librify ever since they announced a partnership with Target at BEA 2014 last year. Librify had planned to launch a book club with attached ebookstore where readers could debate and discuss what they're reading, but that never happened. The idea was to sell users one ebook a month at $7 each and offer access to an ebookstore with prices which were usually higher than the Kindle Store. Even though Librify launched the service in September 2014, they never did develop any type of social network or community. Instead they wanted you to tie in your Facebook account, just like you can do with pretty much all of the major ebook platforms. The terms of the deal have not been disclosed, but I suspect that this was a fire sale. This two-year-old company had only raised a single round of financing (a seed round in January 2014) and without a viable service it was probably unable to raise more funding. They probably ran out of money and decided to take whatever Scribd offered instead of simply shutting down. That is a far better decision than simply abandoning their customers, I'll give them that. Librify is survived by several social reading competitors, including Bookmate and The Reading Room. The latter offers the same basic idea as Librify only it's much lower key, better funded, and older. We are writing to share some important and exciting news – Librify has been acquired by Scribd. We believe Scribd provides the ideal strategic fit for Librify and the perfect platform for the Librify vision to live on. 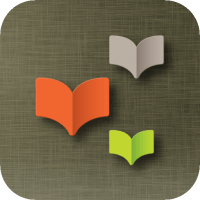 At its core, Librify’s goal was to help members of existing book clubs and aspirational readers of all kinds, enjoy a more meaningful and robust reading experience. All of this can now best be done on Scribd. Over the coming weeks, we will be working with Scribd on the transition and we will be providing you with more information and a special offer to join Scribd. For the time being, you can still access your Librify account. However, you will no longer be able to purchase content on our site and we are no longer accepting new memberships. If you are having any trouble logging into your account or accessing the books you have already purchased, please email us at [email protected]. If you have purchased a gift card through a Target store and have not yet used it, you may return it to Target for a refund. If you have already redeemed your gift card but it still has credit remaining on it, please email us all the information regarding your card including your gift card number, where you purchased it, your name and contact information, so that we may process any refund that may be required.